… !!!!!! Emphatically said with multiple exclamation points. Misunderstandings, miscommunications easily occur … best to recognize ’em and ‘nip it in the bud’ (said bud y’all ;-)) before they escalate … Zen Baby!! “it’ll be the funniest post ever” – Tiffany K.
And ’cause it ain’t is why I did, lol!! Left me a reminder note (hate those btw) to mow the lawn a final time … was busy, and not in the mood so I quickly jettisoned it into the trash can. ‘Sides her blades of grass looked like shark fins, lol. 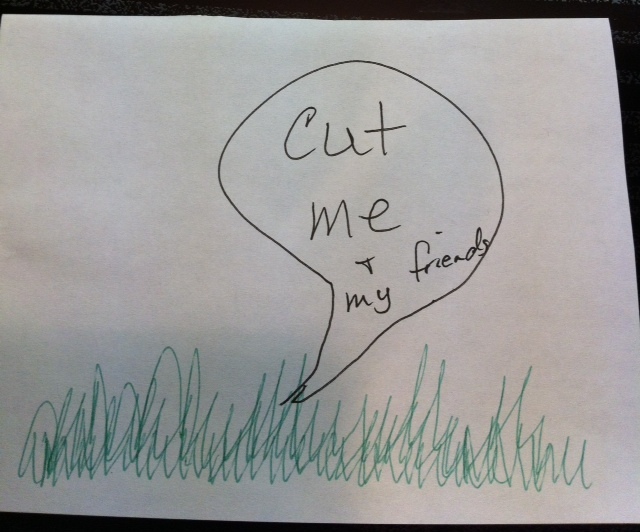 Woke up this morning to a much better one … notice the green ink … nice touch Tiff, lol!! Because we’ve got the bombs, OK? … nail polish!! At the suggestion of her nail-lady, yeah yeah, I do know they’re called manicurists … geeze gimme some credit, lol!! 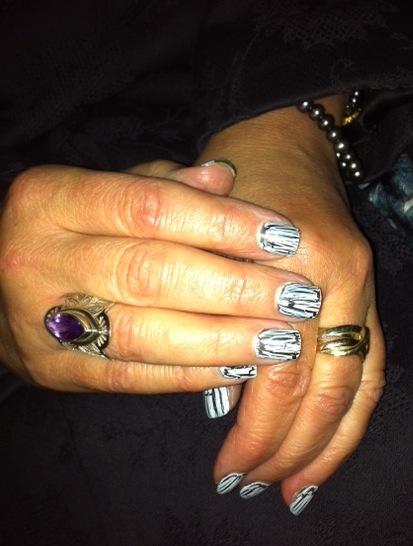 Fun&funky choice, ‘specially since Halloween’s here … btw, love those hands, lol! !